The king needs a new Master Builder, and you are vying for the post. Impress his majesty by building the most majestic metropolis! You have a rare opportunity. As one of the kingdom's great builders, you have been commissioned to build a new city from the ground up. If your city surpasses those of the other builders, you will earn the title of master builder and acheive lasting renown. 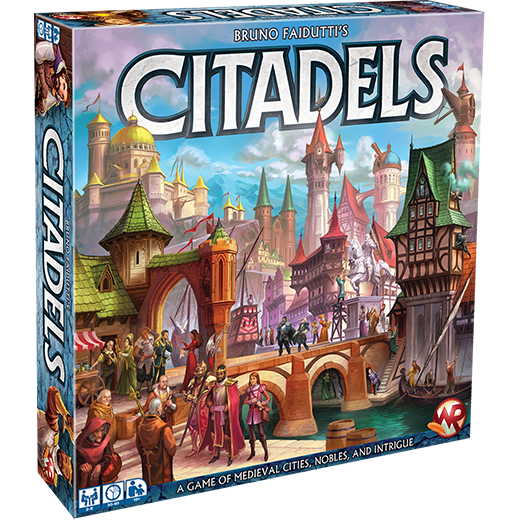 Citadels is a card game in which you and your opponents vie to build the most magnificent medieval city. 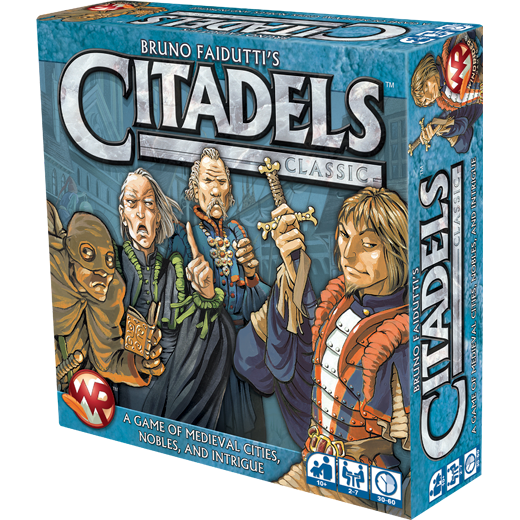 Designed by Bruno Faidutti and first published in 2000, Citadels has become one of the most popular and greatest games of the modern era. It boasts a thoroughly approachable mechanical framework that is easy to learn, yet rich in deception, strategy, and intrigue. 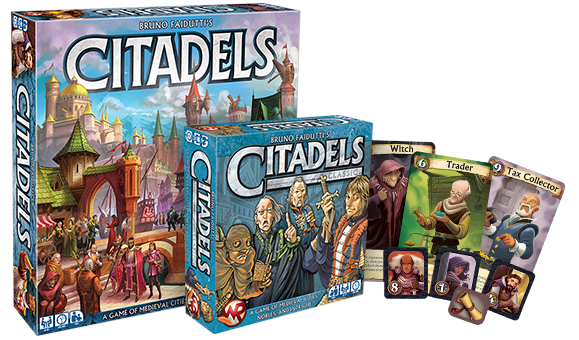 Build a medieval city fit for a king in this definitive edition of the acclaimed card game. The classic game of card drafting and intrigue.